Integrate data into a library bank via computers, and through data capturing machines such as scanners. Access data through the Internet (remote server) or LAN or local area network (non-Internet option). Secure files and restrict access to authorized individuals only. Collaborate with multiple individuals (team members), organize workflows, view and access work-related data, and be able to use the programs or software used by the team. Send automated emails to team members informing them of changes done on files or folders in their linked library. More than just accessing linked files, those granted access may also modify them via Microsoft Office applications and other third-party programs. Have the freedom to assign system roles to certain individuals. FileHold Content Management System has five pre-defined roles: Read Only (users will only be able to view documents and will not be able to modify its contents or move a file from one location to another), Publishers, Publishers & Delete (users can create and delete files), Library Administrators and System Administrators. Produce reports out of the data gathered and stored in the library using Microsoft SQL Reporting Services. Easily install and configure the software within a day. These are the basic functions of any content management system. As you can see, it does more than provide a data bank for offices to fill in. It takes documentation and record management to a higher level with its collaborative functions that allow employees to do their jobs with very little hassle in terms of communication, workflow organisation, and data sharing and exchange. Shifting to a CMS such as FileHold will eliminate or at least minimize the problems that often come with paper-based documentation and data management systems. For starters, this eliminates problems of space. Floor space, storage space, desk space, you name it. Those will be solved with electronic data storage and management software in place. The least this system will require is a server in the form of a desktop CPU where the database will be stored. As the business or office grows through the years and more data is accumulated, there may be a need to upgrade and get an even bigger memory space. A second server may have to be installed. Of course, the office may decide on a cloud service by then, and that is an even better option where space efficiency is concerned. Since data storage and input is done digitally, it becomes easier to look for files and produce copies for everyone’s easier perusal. Considering that many office employees are also using electronic gadgets like tablets, smartphones, and laptops for work, sharing soft copy documents is becoming more and more convenient than distributing thick binders and sheaves of loose paper. Budget also comes into the picture. 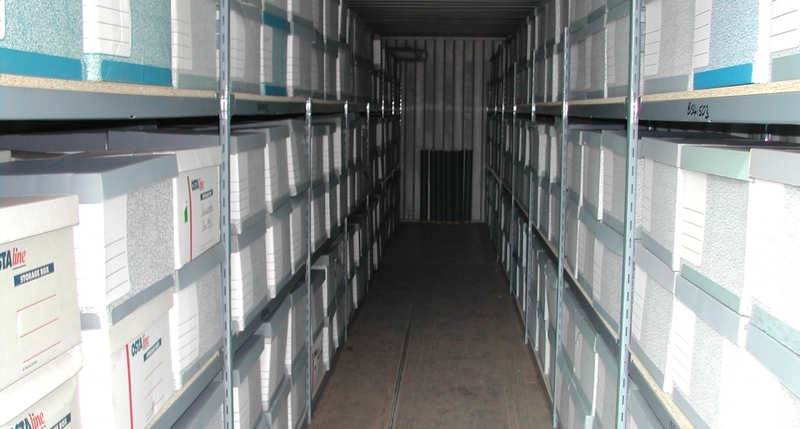 Offices that are still documenting and filing information on hard copy documents need to come up with an efficient storage system especially if they are trying to keep safe years’ worth of company data, contracts, and other paperwork. It doesn’t matter if that means more filing cabinets or turning the basement building into a moist- and insect-proof storage room—both options equate to additional expense. Purchase costs, building costs, and maintenance can easily climb. Software solutions minimize expenses in the name of data organisation and storage. Employees can easily organize data as they use the software and access its library of contents. Updates are mostly offered for free and if ever an additional fee is required, the expense will make sense. Maintenance is also seldom needed, unless something has gone wrong with the hardware through which the software is installed and can be managed on System Administrator capacity. Sifting through boxes of papers and folders tucked tightly into filing cabinets can take forever. With a Content Management System, a simple keyword or file title search can locate and retrieve the needed document, even if it was created a year or so ago. Its digital form also makes it easier to make revisions and corrections on documents. These are just two more examples of how a computer-based system can help users save time and energy. Although there are sceptics who would question the security of electronically documented information, the pros of using computer-based Content Management systems far outweigh the cons. Besides, there are now plenty of tried and tested methods to protect confidential data stored and shared through electronic document and record management software. About the author: Nicole Williams is a professional blogger and keen technology enthusiast who enjoys writing about improving workplace efficiency using technology. She currently writes for Micro Com Systems.